ESI-Communications Servers: An ESI Communications Server is a powerful tool around which you can build your organization’s entire telecommunications strategy - and you don’t have to know it all in advance. That’s because an ESI Communications Server - the ESI-1000, the ESI-600, the ESI-200, or the ESI-100 - can be a traditional digital business phone system, a fully standards-based IP telephony system, or any mix of the two. The choice is entirely yours, and the mix can easily change when your needs do. 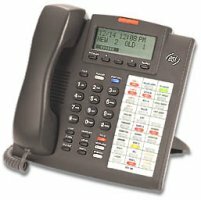 C-Plus / IVX C-Class: One of these all-digital, all-in-one business phone systems is almost certainly what your office needs. IVX S-Class and IVX C-Class also accept many of the add-on products. VIP and VIP Professional - VIP PC Attendant Console - VIP ACD - VIP Softphone: The name VIP means "Visually Integrated Phone". It works within Microsoft® Outlook® to help you manage your ESI voice mail and contacts from you PC. VIP Professional adds still more features, such as auto-recording*, text-messaging, and monitoring of station status. ESI Presence Management: This ESI exclusive combines RFID scanning technology and ESI’s award-winning telephone systems to offer presence status, call control, entrance security, and documented tracking of users’ work hours and attendance history. For complete time and attendance management, use it with the ESI Timeline software. Esi-Link: Our advanced multi-site solution lets you use your data network to interconnect numerous ESI phone systems as if they were one big system. ESI Cellular Management lets you manage your cell phone calls along with your normal business calls, all from your desktop phone. An ESI 48-Key Feature Phone is ideal for most active phone users. Its large display and abundant programmable feature keys help you achieve maximum productivity. And, if you need even more programmable keys, it’s easy to connect up to two optional Expansion Consoles, each giving you an additional 60 programmable feature keys. Systems: ESI-600; IVX X-Class; IVX E-Class; IVX S-Class; IVX C-Class. Each ESI Cordless Handset uses proven, reliable 900 MHz technology to provide mobility to the user who’s constantly on the move in the office. (Why 900 MHz? Because it passes through walls far more effectively than cordless telephony using the 2.4 GHz and 5.8 GHz bands, which are intended more for residential than workplace use.) You get the same rich ESI feature set as in the 24-Key Feature Phone — but in a compact, lightweight, portable handset. 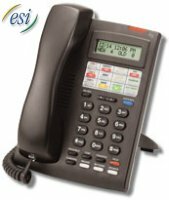 The ESI-exclusive Quick Switch feature makes going from your desktop ESI phone to your Cordless Handset, or back again, as easy as pressing a key. Call Martin Communications today at 800-521-6421!